For German Chancellor Angela Merkel’s opponents, defectors and even supporters, the announcement that she will not seek the chancellery in 2021 is not yet cause for either celebration or concern. Her exit as Chancellor is predicted to be just like her 13-year-long reign: dragged out. 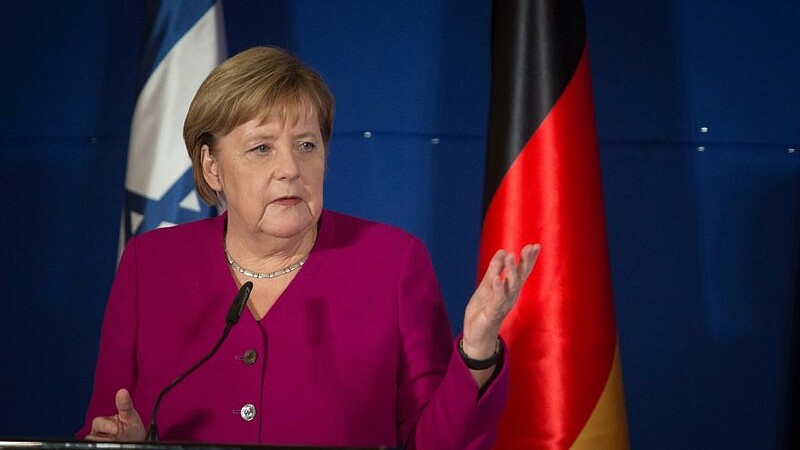 Leading the “Merkel Must Go” opposition on the Jewish side are political newcomers, Jewish members of the right-wing Alternative for Deutschland (AfD), who early this month inaugurated the “Jews in the AfD” (JAfD) faction in Wiesbaden, the capital of the German state of Hesse. The event took place, inadvertently, near the site where the ravaged body of Jewish schoolgirl, Susanna Feldmann, was murdered by an illegal Iraqi asylum seeker. Feldmann’s murder shocked Germany, the Jewish community, and especially locals, and it likely pushed voters towards the only party to categorically reject Merkel’s refugee policy, which has seen a rise in terrorism in Germany. “Merkel’s announcement is the first step towards restoring Germany as a safe state for Jews and gentiles. The better decision would have been to resign immediately as chancellor,” said Wolfgang Fuhl, co-chair of JAfD and former CDU voter who switched to AfD because Merkel veered an ostensibly conservative party to the left. He and members of JAfD believe the AfD is by and large a pro-Israel, pro-Jewish party, contrary to warnings and characterizations of the German-Jewish establishment. Read the rest in JNS.org.